Ninety years of greatness! But how well do you know Her Majesty? This true look at her wartime work gives you even more reasons to love her. It’s 1939, and Princess Elizabeth – who is Queen today – has just met the dashing Prince Philip of Greece. But when war breaks out across Europe, Philip sails away with the Navy to fight. Eager to serve her country, Elizabeth asks her father, the King, to let her join the war effort. She trains a a mechanic, driving trucks and fixing cars. But will she ever see her perfect prince again? This is definitely a My Story book for girls, but does provide some very interesting information for a children’s book and gives an insight into the life of the Royal Family during the Second World War. 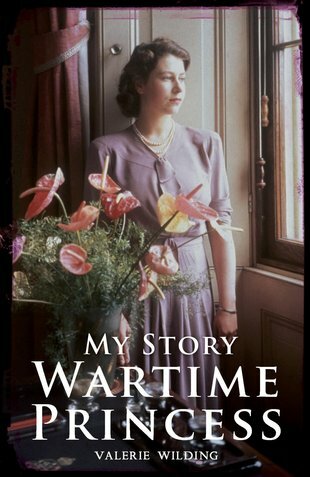 Wartime Princess in one of my favourite books and I’ve read it many times although it can become slightly tiring when you know the outcome of all of the events, however, I highly recommend it.